Caterpillar has been driving positive change on every continent with their construction and mining equipment. The company has helped develop infrastructure, energy and natural resource assets for countless people across the globe. When you buy a Cat TLB for sale, you are investing in the pinnacle of construction technology. Caterpillar is the leading manufacturer of construction/ mining equipment, natural gas and diesel engines, diesel-electric locomotives and industrial gas turbines in the world. 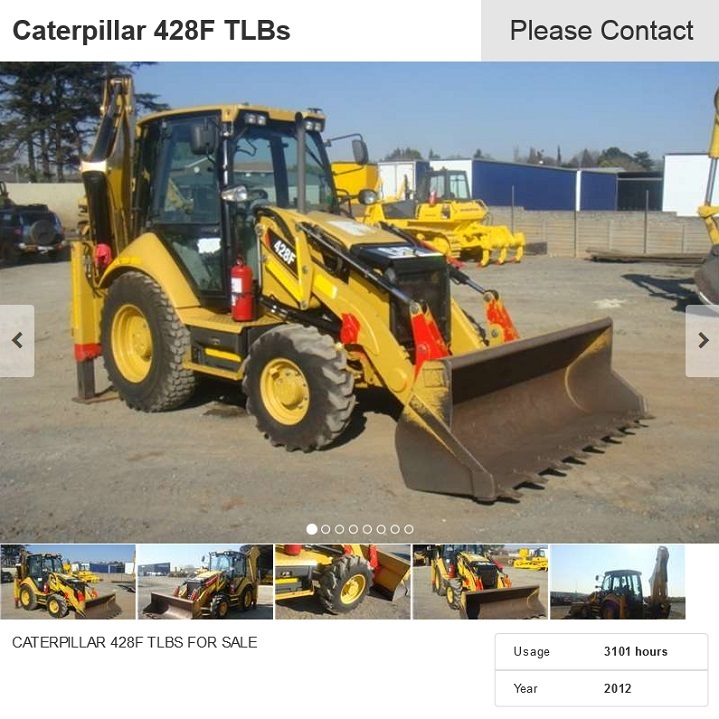 The next TLB for sale that you go looking for should only ever be a Caterpillar TLB. Let’s take a look at some of the newer editions to the TLB family. 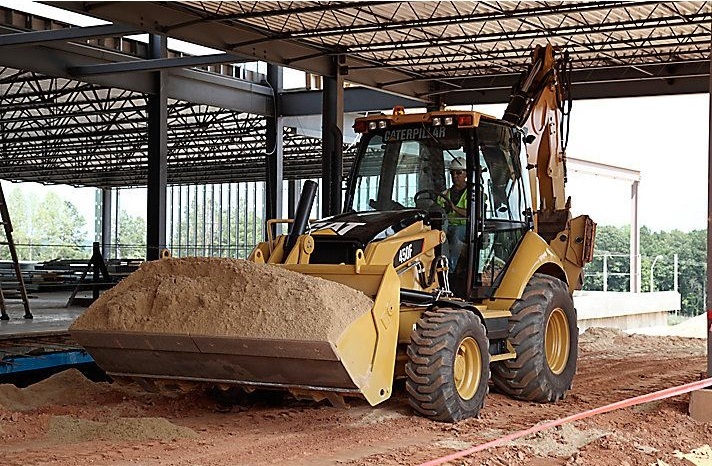 It doesn’t matter if you are digging, trenching, back-filling or handling heavy material, the Caterpillar TLB can handle anything you can throw at it. 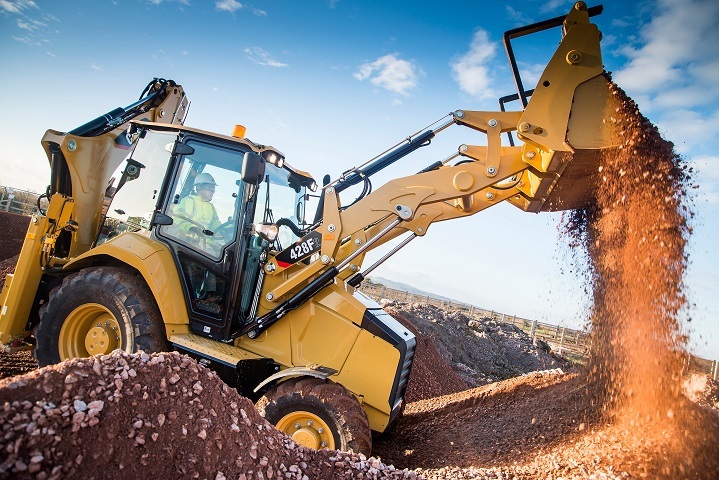 Also known as a tractor loader backhoe, the TLB is designed to do more work with less effort. These machines are incredibly reliable and set the industry standard for everything from operator comfort to jobsite efficiency. 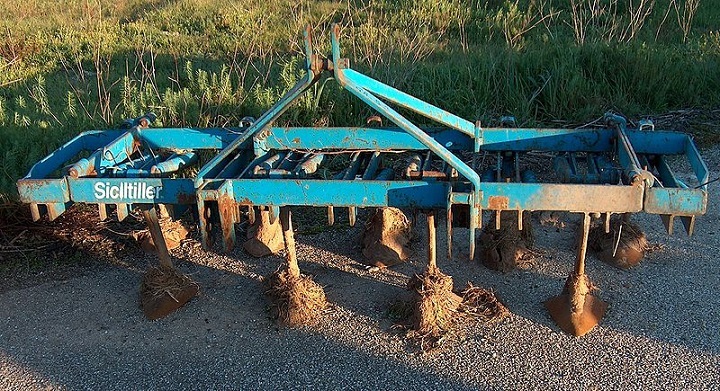 A center pivot TLB has its backhoe mounted at the center of the rear portion of the TLB’s frame. Stabilizers shift out and extend down from the frame for support. This is the base model TLB from caterpillar but that doesn’t mean that it’s not a powerful piece of machinery. With this model, you get a powerful 3054C DIT engine which is mated to a power shuttle transmission with a hydraulically shifted clutch. The excavator-style boom is built for the best performance and durability. The design of the boom arm allows for added clearance and because it’s so narrow, you can easily see past the arm throughout the operating range. This Cat TLB for sale is basically the same as the previous Center-Pivot TLB but it’s made with a lower quality spec. Like the 416F, the cab has an ergonomic style that has been modelled off of a car’s interior. Air suspension in the seating provides comfort. This Tractor Loader Backhoe has hydraulically boosted brakes and load sensing hydraulics for precise boom movements. A sideshift TLB has its backhoe mounted on the carrier of the machine which can slide along rails that have stabilizers mounted to them which can be extended vertically. This design is better for confined working spaces. 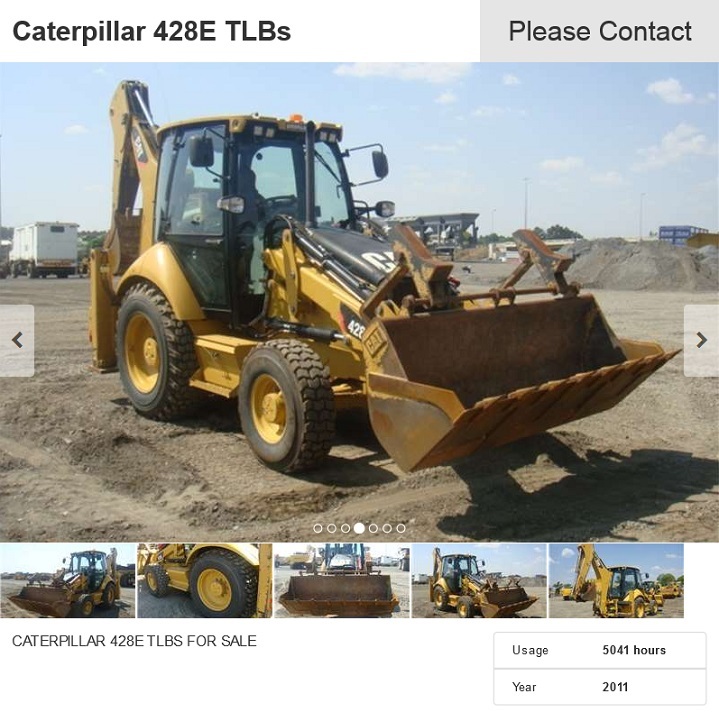 The 422F2 caterpillar TLB has class leading operator comfort with a 74 dB(A) internal sound level and heated seating. The redesigned roof cab gives the driver superior visibility. The proven Cat TLB engine delivers power on demand with amazing fuel economy and very low operating costs. The entire F2 series has heavy duty Cat axles what give high durability and low noise levels on uneven surfaces. There is also a locking differential used to allow for maximum traction in all conditions. Lastly the 422F2 has a synchronised mesh mechanical transmission that can reach speeds of up to 40 Km/h. In the 428F2 Cat TLB you get a choice of two power houses, these are engines with a 68.5 kW, 70 kW or 74.5 kW power rating. Both provide excellent performance in any task. You get amazing fuel economy with very low operating costs without losing any power. These engines also have a lock-up torque converter that allows a direct ratio between engine and driveline when the vehicle is in gear. This converter gives a sixteen percent decrease in fuel usage and an elven percent increase in average travelling speeds. 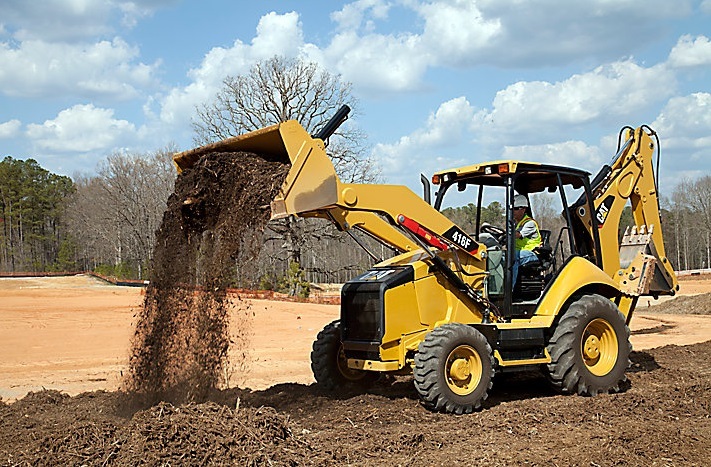 This Tractor Loader Backhoe model makes use of intelligent load sensing hydraulic systems that will give you just the right amount of power at the perfect moment. You will never have to worry about wasting fuel due to using too much power, or not having enough power, ever again. 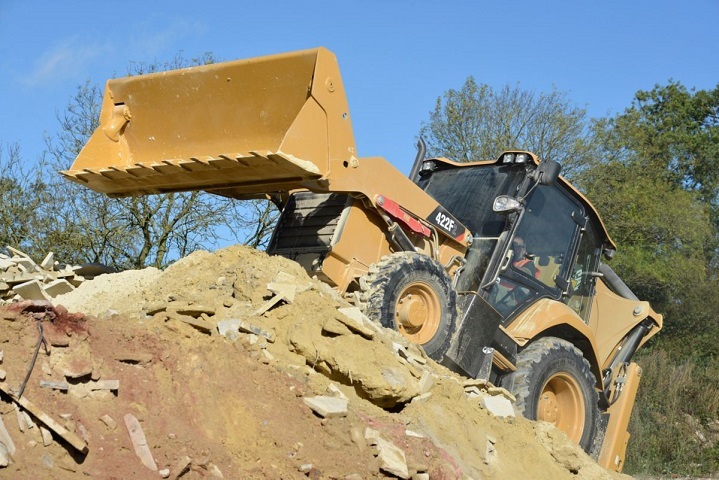 This intelligent system is coupled with Caterpillar’s proven loader performance that gives the operator superb forward visibility with self levelling features. 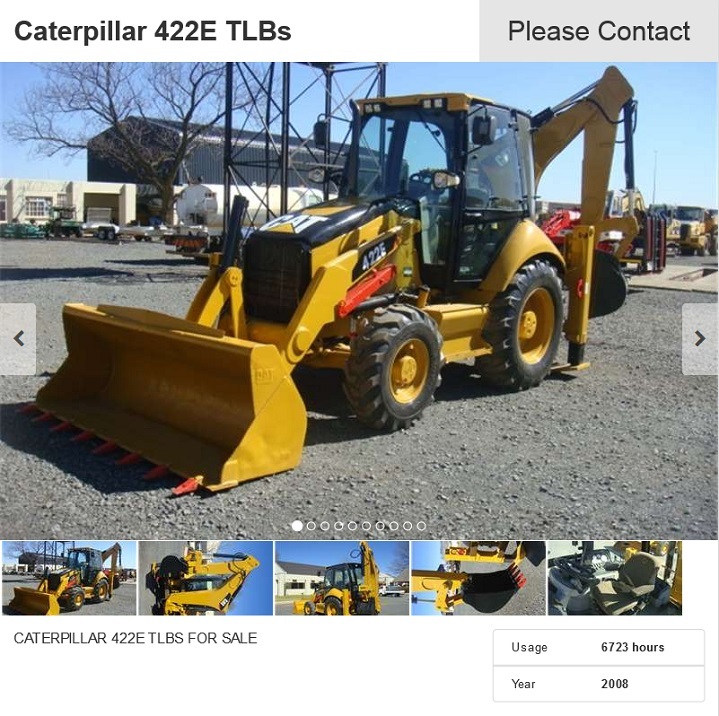 This is arguably one of the most powerful Cat TLB for sale in Caterpillar’s arsenal. 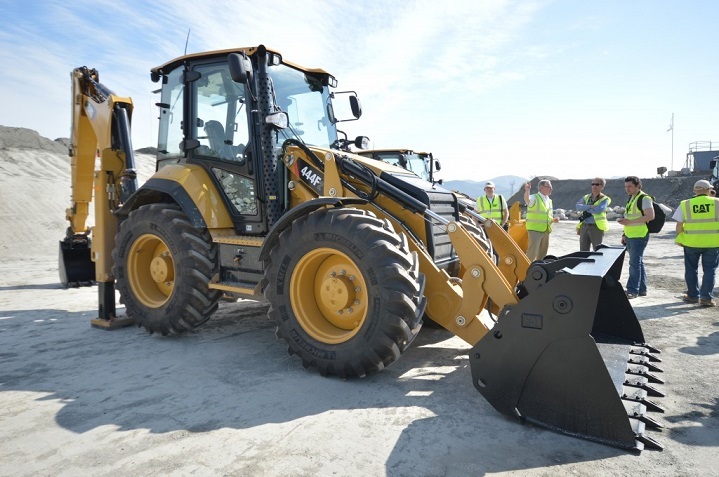 Here you get the class leading operator comfort as in all the Cat TLBS’s, but you have the added benefit of being able to switch between the Excavator or Backhoe control patterns with the press of a button. You get the proven Caterpillar power on demand but there is an Eco mode that can be selected that uses the TLB’s new Advanced Power Management System (APMS). This system allows for excellent savings in fuel usage with no impact on productivity whatsoever. 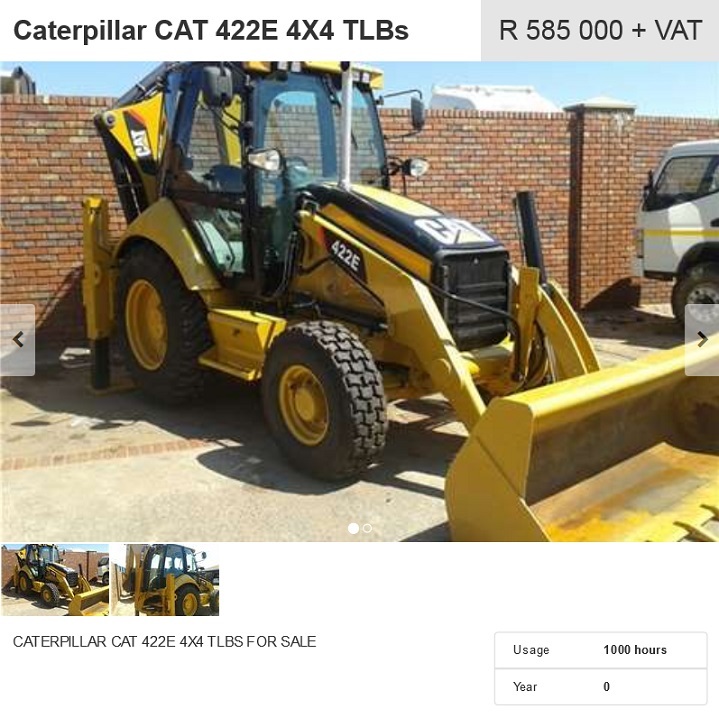 This model also comes with the load sensing hydraulic system and the well-designed Cat parallel lift loader for unmatched visibility. Every single Caterpillar TLB comes with Caterpillar’s well designed service areas so you can have the least amount of down time possible. A hinged cooling pack design allows for easy removal of debris and also helps the machines cool down. All of the various daily check points are grouped together in easily accessible points. Then there’s the unrivaled customer support network and a range of finance options that are tailored to suit your every requirement. Caterpillar also provides on-site training and advice on how to operate their machinery at optimum efficiency. 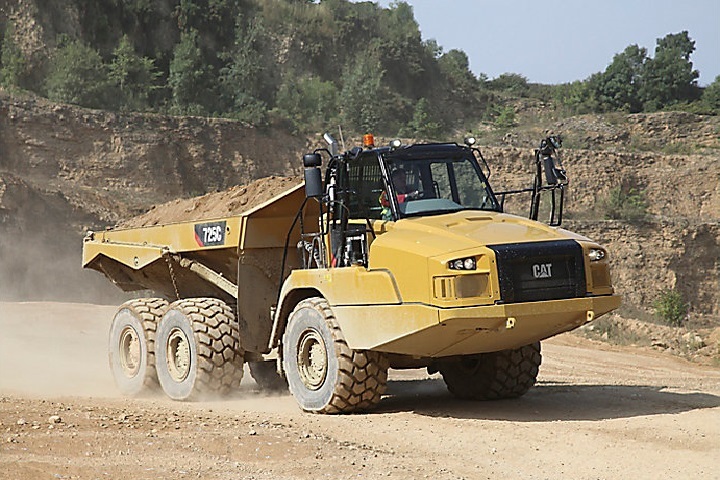 With their dynamic capabilities and incredibly durable exterior, finding a Cat TLB for sale is a wise decision. Finding a second hand TLB for sale on Truck and Trailer is a good idea as these machines are very durable and built to last. Telehandlers: A machine with the ability to handle anything!